According to MBLM’s Brand Intimacy 2018 Report preview, Apple has ranked in the top spot, with Disney and YouTube in third. 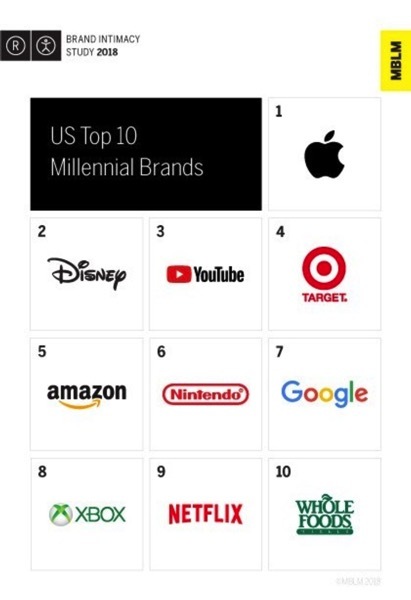 Last year’s 2017 study detailing ‘intimate’ brands for millennials saw Disney as first, followed by Amazon and Netflix in second and third place. This year sees Apple in first, while YouTube surges to the third spot. Apple, YouTube and Netflix—what else do ‘millennials’ need?